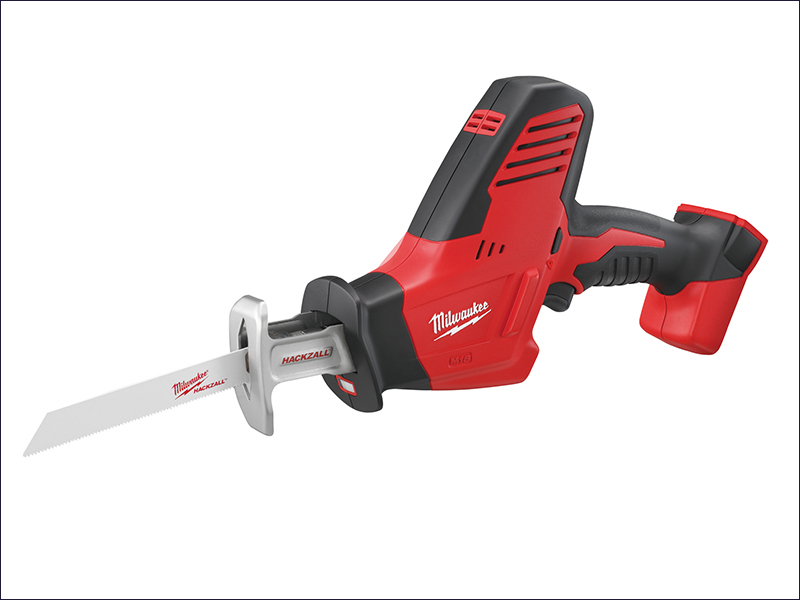 The Milwaukee C18 HZ Compact Cordless Hackzall® is a high performance hack saw, measuring just 375 mm in length, making it ideal for working within confined spaces and for one handed use. It features a Milwaukee patented FIXTEC clamp for fast and easy keyless blade change, and has a built-in LED light to illuminate the work surface. REDLINK™ overload protection electronics in both the tool and battery back to deliver excellent durability. A dual gear counter reduces vibration and increases the tool life. A fuel gauge displays the remaining battery charge state.